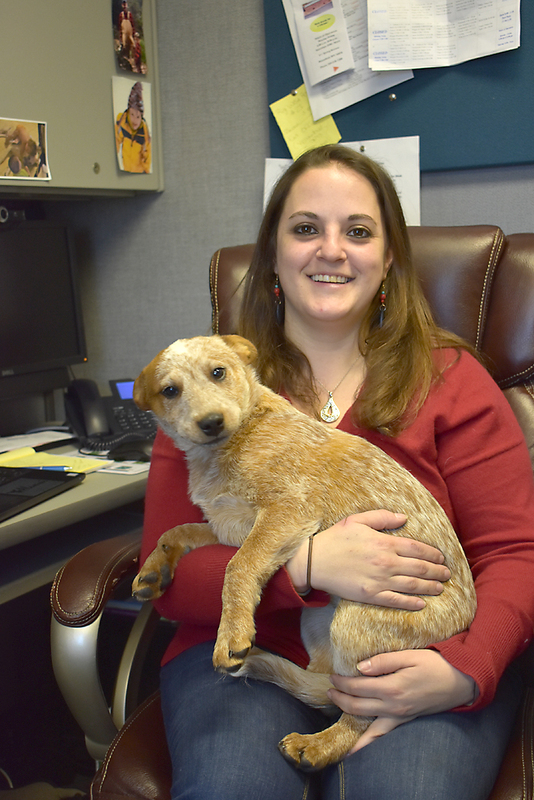 Hardy County’s new Extension Agent Alex Straight with Gyp, a red heeler. Gyp has become the Extension Office mascot and is a very well-behaved little girl. Alexandria Straight is a no-nonsense, easy-going kind of person. She is smart, articulate and friendly. She knows her predecessor was well-liked and well-respected in the county and doesn’t even try to fill those shoes. Straight is getting her feet wet, literally, in her new job as West Virginia University Extension Agent for Hardy and Hampshire counties. She was recently out collecting samples of forage for analysis. It’s one of the areas of expertise she brings to the job. Straight was raised on a farm in Upshur County. She graduated from Buckhannon/Upshur High School and went straight to West Virginia University. Her major was animal and veterinary sciences, with a minor in horticulture. She graduated in 2006.